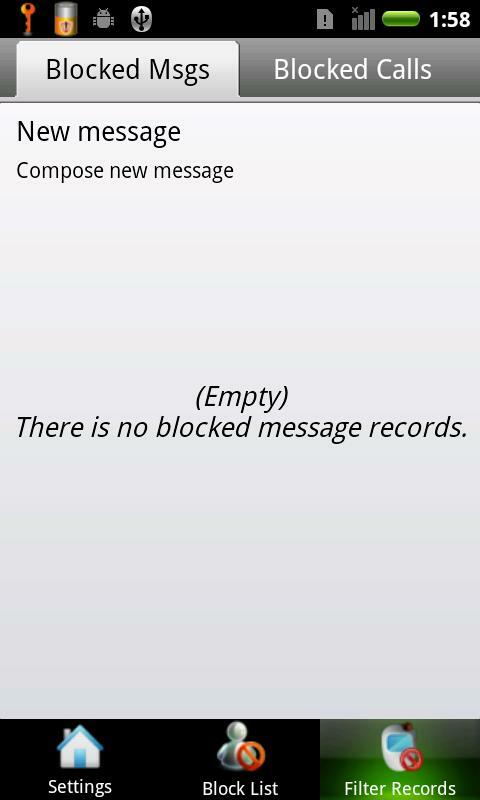 Before you'll see spam messages only on emails but nowadays, even phones already have it through SMS and phone calls. Advertisers specially on financial services like credit card, loans and etc now also targets cellphones as means of viral marketing. 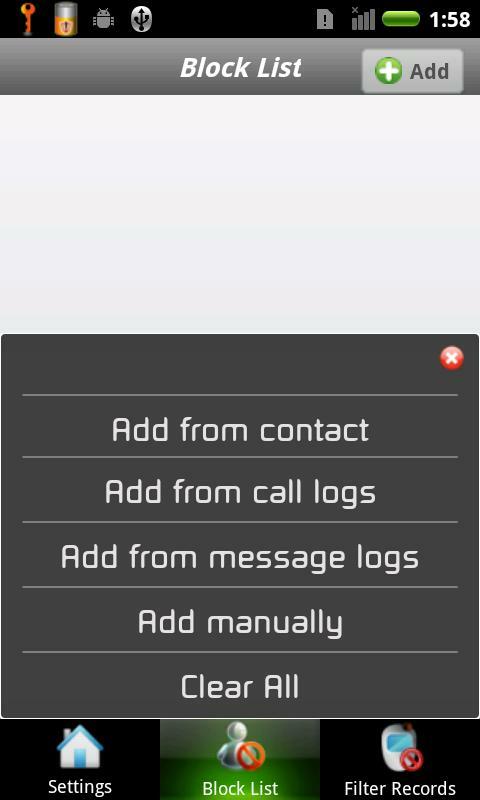 To block such and similar annoying calls and messages, you can use Easy Filter for Android apps. 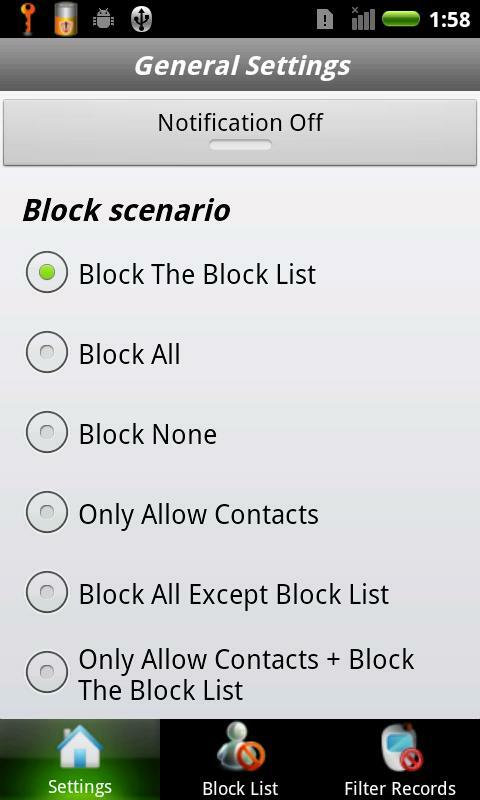 Easy Filter is a free android app that allows users to easily block unwanted SMS & phone calls. Once installed, the first thing to do is choose a block scenario in the General Settings tab. 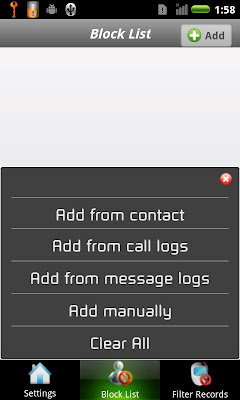 And then add numbers to block from your contacts, call logs, and messages logs. 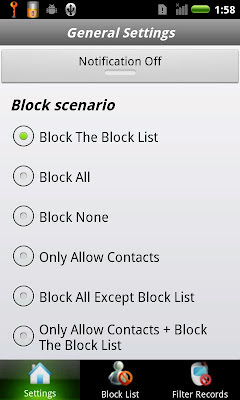 You can also manually input the number to block. 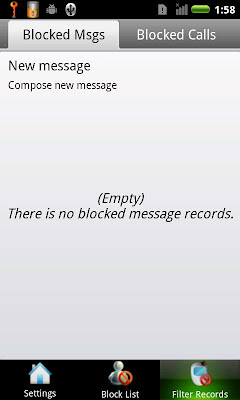 It has also a log list of block messages and calls. You can password protect the application from unauthorized access through MENU -> Password, then type a new password. I tested it on Sony Erricson Xperia 10 with Android 2.0. SMS LÅN – Lån penge uden at stille sikkerhed – Brug pengene til hvad du vil! Få svar på dit SMS lån indenfor 15 min.Pengene bliver sat direkte ind på din bankkonto.